This one looks like fun! 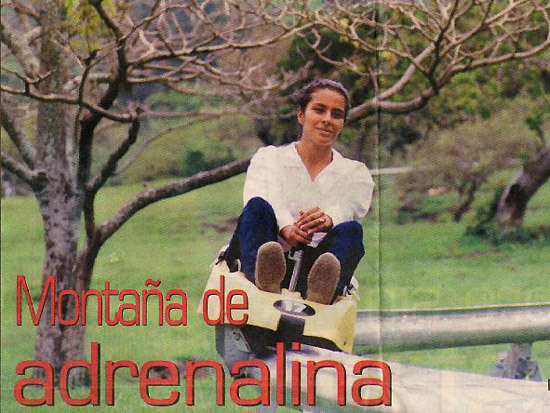 Using technology similar to Alpine Sleds, a self-braked trough ride seen throughout the USA, this coaster monorail operates at MontañAventura in Santa Ana, Costa Rica. The aluminum track is supported by wood posts. 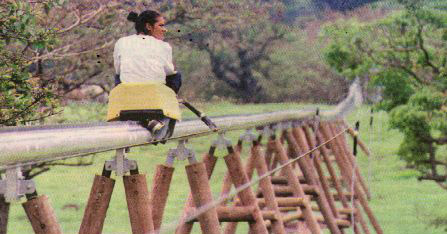 Single riders are brought to the top of the hill by cable (see below) and released for a gravity ride back to the bottom. Total track length is around 500 meters and speed of the ride is up to 25 km/h. Thanks to Darryl Coppenhaver for sharing the news article with us.